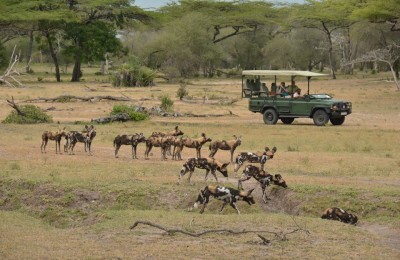 For those ‘short on time’ these packages are designed to offer visitors with a time constraint, a short but a very intense Tanzanian Northern Circuit wildlife safari experience. Select from 2 Nights 3 Day packages combining Ngorongoro Crater & Tarangire National Park or Lake Manyara National Park. A wonderful combination of Tanzania's Selous Safari combined with the glorious Indian Ocean beach of Ras Kutani. Selous Safari Ras Kutani Beach package of 7 Nights takes you to Tanzania's Southern reserve, the Selous Game Reserve and the tranquil Indian Ocean shores of Tanzania. A superb Tanzania Southern Safari of 6 Nights, taking you to two of the country's best reserves. The focal point in both parks are the major rivers, Rufiji River in Selous Game Reserve and Ruaha River in Ruaha National Park. The game viewing in both is extraordinary . The iconic Kruger National Park in South Africa is steeped in legend and history. It is one of the oldest and largest national parks in Africa. Choose from our selection of Kruger safari packages featured in this website or arrange your own itinerary with one of our experts. Combined with luxury accommodation, exceptional close up wildlife encounters and personal service. Visit Durban with its golden sun-kissed beaches, fabulous scenery, and the warm Indian Ocean waters, combined with a wildlife adventure in Phinda Game Reserve and experience luxury as never before on the 5 Night 6 Day Durban Beach and Wildlife Safari package. Botswana Safari Focus of 8 Nights combines three of Botswana’s most unique safari areas. The Safari includes the Chobe National Park River, the magical Okavango Delta, Moremi Game Reserve & the awesome Victoria Falls. Enjoy once-in-a-lifetime wildlife encounter of rare mountain gorillas in their natural habitat. A superb experience showing you the true wonders of Lake Mburo Park and Bwindi Forest in Uganda with stays at luxurious forest lodges. An exhilarating experience in Zambia’s famous South Luangwa National Park with the jewel Park of Lower Zambezi. Combine this with your final destination at Victoria Falls, Enjoy an exciting mixture of walking safaris, game drives and boating safaris. Enjoy the best on our Luxury South Africa Safari and the paradise-like beaches of Mozambique. 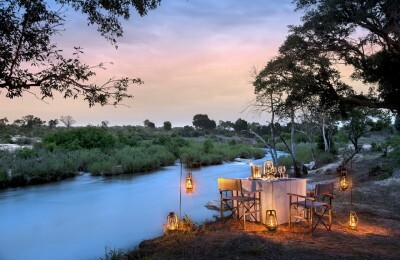 Begin with a journey to one of South Africa's premier private game reserves for amazing wildlife inclusive of bush breakfasts, bush dinners and star gazing; then on to the beautiful paradise-like beach in Mozambique for an unforgettable experience. Visit North Tanzania's National Parks and savour the beauty of this magnificent wildlife country in 7 days. This Safari is a Join-In Safari with minimum 2 persons guaranteed departure and maximum of 6 persons in a 4WD Safari Landcruiser. Departures from Arusha as detailed. Quite simply the rail journey of a lifetime. Combine some of the most magnificent scenery with the glamour and excitement of the golden age of steam on the Rovos Rail journey from Preterio to Victoria Falls. Inclusive of free night in luxury Hotel in Pretoria. 7 Nights 8 Days of Golf & Leisure. Enjoy playing golf at a selection of championship courses in Cape Town - including Steenberg in the foothills of Table Mountain & Arabella on the Whale-watching coast of Hermanus. The fantastic courses and exotic locations provide a unique golf holiday experience found nowhere else in the world. Enjoy the colourful culture, scenic natural attributes with captivating architecture on our Day Tours specially packaged to introduce you to this beautiful Mother City. ‘Scenes so lovely must have been gazed upon by angels in their flight’ were David Livingstone’s first words when he discovered this iconic destination in 1855. His famous description of this dramatic waterfall continues to draw thousands of visitors to experience for themselves this awe-inspiring sight. Climb the rooftop of Africa ! Feel the exhilaration as you become a member of an elite group, those who have stood on the highest point in all of Africa. Rising in absolute isolation, at 5,895m, Kilimanjaro is one of the highest walkable summits on the planet. Select your 7 Night Mt. Kili Trek to Uhuru Peak on a private climb or join a pre-existing group. Experience the royal tented accommodation at Kirawira Luxury Tented Camp in Serengeti West for memories of a life-time on this 7 Night Tanzania Royal Safari circuit. This Safari is a Join-In Safari with minimum 2 persons guaranteed departure and maximum of 6 persons in a 4WD Safari Landcruiser. Departures from Arusha every Saturday. 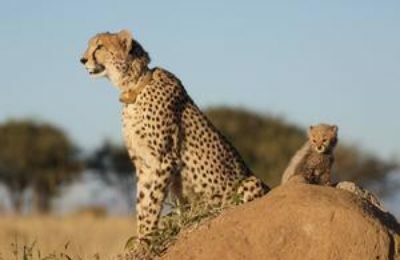 This Deluxe 10 Days South African tour visits the three top destinations in South Africa – Cape Town, the Garden Route and the Sabi Sand Private Game Reserve. The Tour begins in Johannesburg and ends in George Town on the Garden Route. Inclusive of internal flights. 4 Nights 5 Days Stylish Cape Town Luxury is a stand-alone package, but can also be used as a before or after stopover, on the way to your chosen destination. Spend quality time enjoying Cape Town in all its splendour. Mix and match as many add-on tours as you like. 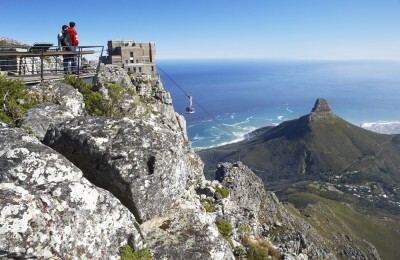 A private South Africa Tour of 9 Nights 10 Days. Cape Town is explored before enjoying a safari in the Sabi Sand Private Game Reserve followed by the thundering Victoria Falls on the Zambezi River. Accommodation at deluxe hotels and lodges. The Sabi Sabi Photo Safari offers the unique experience of being guided by a professional photographer, inclusive of tuition on the intricacies of getting the very best out of a camera and how to take that perfect, once in a lifetime wildlife picture. Combined with luxury accommodation, exceptional close up wildlife encounters and personal service. A 2-Night 3 Day package with internal flights to Bwindi Impenetrable Forest for an exciting trek to find the African mountain gorilla. Add this on to any East Africa Safari for a thrilling encounter with these magnificent endangered giants. Experience some of Uganda’s best highlights and view exceptional wildlife on this 8 night 9 day safari adventure. Go on an exciting trek to find the African mountain gorilla. Absorb the stunning landscapes and people of Uganda.